US nuclear policy is undermining our safety and national security. When Barack Obama was campaigning for president in 2008, he famously pledged to place nuclear disarmament at the center of his national-security strategy. He seemed to be delivering on that promise when he began outlining the terms of an arms-reduction treaty with Russian President Dmitri Medvedev during his first months in office. In a highly celebrated speech in Prague in April 2009, Obama declared that “the existence of thousands of nuclear weapons is the most dangerous legacy of the Cold War,” and he restated “America’s commitment to seek the peace and security of a world without nuclear weapons.” Later that year, the Nobel Committee cited the president’s leadership on this issue when it awarded him the Peace Prize. Why, then, we must ask, is the Obama administration moving forward with an ambitious nuclear-weapons modernization program that could dramatically raise the threat of nuclear war? The program aims to overhaul the entire US nuclear-weapons arsenal, with a particular focus on improving the fusing systems and accuracy of long-range land- and sea-based ballistic-missile warheads and on increasing the killing power of other nuclear warheads. A recent federal study estimated the cost of this enterprise at $1 trillion. The stated goal of the program is to increase the “reliability” of US nuclear forces. But a close analysis reveals a technically sophisticated effort to ready US nuclear forces for a direct confrontation with Russia. To be sure, such preparations had been under way long before the modernization program caught the attention of the public in September, when The New York Times ran an extensive front-page story on it. The Department of Defense and the Department of Energy have earnestly pursued the upgrade for more than two decades, and watchful Russian political and military leaders are keenly aware of its focus and intent. The schedule and technical objectives of the US nuclear program are perfectly aligned with the bristling atmospherics associated with the downward spiral of US-Russian relations. Despite Obama’s high-profile attempt to “reset” US-Russian relations during his first term, a new dynamic never took shape. Many Russians, including those with moderate political views, believe the United States has been engaged in an endless campaign of disrespect, opportunism and predation toward Russia since the demise of the Soviet Union. Many Americans regard Russia as intransigent, dangerous and aggressive. Most Europeans consider themselves caught between two giants locked in an increasingly volatile feud. This politically charged environment has grown increasingly tense since the Ukraine crisis erupted last winter. US nuclear hawks now regard the modernization program as an urgent national-security priority, while Russian leaders perceive US rhetoric about the need to increase the reliability of supposedly aging US forces as yet another lie aimed at lulling Russia into a trap. Sophisticated Russian analysts, especially those who understand the technical aspects of nuclear weapons, see the modernization drive as a disturbing indication that the US military believes a nuclear war against Russia can be fought and won. It was the Soviets’ obsessive focus on improving their strike capacity that led Ronald Reagan to the same conclusion about his counterparts. Just as I did when I was analyzing Moscow’s antiballistic-missile defense as an adviser to the Chief of Naval Operations in the early 1980s, these analysts will ask themselves why the Americans are putting so much national treasure into systems that could not realistically be expected to work. Do US military and political leaders actually believe that the upgraded systems could serve a useful military purpose? If so, could such ill-informed beliefs lead to a cascade of events that result in a nuclear catastrophe? The troubling answer to both questions is yes. This leads to another unsettling conclusion: the modernization program is a reckless policy that directly undermines our safety and national security. While no rational human being would ever launch nuclear missiles with forethought, the history of the Cold War is filled with examples of unforeseen events that could have led to their use in a crisis. Despite President Obama’s recognition that peace depends on nuclear disarmament, the United States is making those nightmare scenarios more likely by rebuilding the stockpile of atomic warheads as if they were just another form of conventional weapon. The first point to consider when evaluating the consequences of the US nuclear-weapons policy is that Russia has good reason to be worried. With a fully modernized arsenal, the formerly “less capable” nuclear warheads will be able to destroy Russian silo-based ICBMs with confidence. This would free up higher-yield nuclear warheads for other war-fighting tasks, enabling the US military to inflict greater damage on Russian command centers, fixed military facilities and civilian industrial infrastructure. Russian analysts have already assessed this increasing nuclear threat, and Russian leaders have responded by delegating launch authority to lower levels of military leadership. The move updates a concept that gained currency under the ailing leadership of Leonid Brezhnev in the 1970s. At that time, Soviet leaders were so terrified of American nuclear intentions that they designed a “dead hand” system to guarantee retaliation in the event of a successful US attack. In 2006, more than three decades later, Sergei Sobyanin, chief of staff of the Russian Presidential Executive Office, expressed similar concerns. As described earlier, the US modernization program includes efforts to improve the reliability of fuses on ballistic-missile warheads. This claim disguises an important fact: the fuses have been modified to increase the killing power of the warheads. Painstaking efforts have also gone into improving their delivery accuracy. When the results of these combined activities are summarized for Russian political leaders, it is not hard to understand their alarm. The upgraded fuses on the Minuteman III ballistic warheads, for example, greatly enhance the US strike capacity. When trajectory errors place the redesigned warheads slightly too high, they will detonate sooner than planned. In other words, they will detonate directly above the targets rather than flying farther downrange, assuring the maximum chance of destroying their target. This technique, called “burst height compensation,” is only useful if the precision of delivery is already enormously high. The implications of other apparently minor technical details are similarly profound. Enhancements to the inertial measurement system in the Minuteman III warheads improve the accuracy of the location and velocity data that are needed to place the warheads on lethal trajectories. Engineering tweaks to the Minuteman III propulsion system give military commanders greater control over the deployment of weapons. Upgrades to the submarine-launched Trident II dramatically improve the US capacity to destroy Russian silo-based ICBMs, and with less warning time. There is substantial evidence that Russian leaders have had serious concerns about American nuclear-strike capabilities throughout the post-Soviet era. On January 26, 1995, then-President Boris Yeltsin acknowledged a barely averted disaster prompted by an accidental alert of the Russian early-warning system. “I linked up instantly with the minister of defense, with all those military leader-generals that I need. And we tracked the path of this rocket from beginning to end,” he said. The incident had occurred the day before, when a nonthreatening rocket was launched from an island off the west coast of Norway. The rocket was traveling toward the North Pole, away from Russia, but its trajectory was aligned with the Minuteman missile-attack corridor between Grand Forks, North Dakota, and Moscow. Russian early-warning radars detected a sea-launched ballistic missile that was intended to blind them by detonating a nuclear weapon at high altitude. Had an event of this type occurred during a period of high crisis with the United States, any number of catastrophes might have ensued. The Russians’ accurate assessment of the more recent US modernization drive undoubtedly elevates the risk of confrontation even further. This danger is considerably exacerbated by the stunning fact that, unlike the United States, Russia has no satellite-based early-warning system for incoming missiles. Instead, Russia depends on a vast and growing network of ground-based radars for early warnings. Since radars are limited to line-of-sight, they cannot see ballistic-missile launches below the horizon. By contrast, satellites can potentially monitor and observe the launch of ballistic missiles as soon as they occur anywhere on Earth. Under plausible conditions, Russian leaders in Moscow might have as little as six minutes to make launch decisions once they perceive an American attack. Russian military commanders would have to act immediately, without the benefit of satellite data to confirm that a large-scale attack was truly underway. This does not mean, of course, that the United States would have a realistic chance of succeeding in such an ambitious “conventional” attack. Everyone on the US side who is properly informed understands that Russia would launch a counterattack before the US warheads arrived. Despite this frightening reality, policy-makers have not attempted to analyze the benefit to US security of pushing the Russians to a higher state of alert. Nor have they asked how an increased US nuclear threat to Russia improves the security of US allies—or, for that matter, anyone else around the globe. The domestic dangers created by nuclear-weapons modernization are also demonstrably large. In recent years, nuclear forces have become an increasingly unmanageable burden on the US military. The prestige and possibilities for professional advancement in the nuclear services is low, contributing to an overall deterioration of morale and in the quality of candidates for manning these forces. The false public perception that the danger of an accidental nuclear war is much lower now than it was during the Cold War has contributed to the institutional malaise in the organizations responsible for managing these weapons. As discipline erodes, one can expect the dangers of a nuclear accident to increase. There are troubling signs that domestic risks are already rising. As recently as last year, there were extensive reports about serious morale problems and cheating on the performance tests among crews at the Air Force ICBM station in Great Falls, Montana. Prior to that, procedures were so lax among Air Force personnel that on August 30, 2007, six nuclear-armed cruise missiles were loaded onto a B-52 bomber without the knowledge of either the ground crew or pilots, who inadvertently transported the weapons across a large part of the United States. There is a long history of accidents during the Cold War that brought the United States treacherously close to disaster. In one major false alert, a training tape loaded into a computer made it appear to US launch officers that a full-scale Soviet attack was under way. Other events, like those well documented during the Cuban missile crisis, underscore the numerous unforeseen accidents that could be misinterpreted during a crisis. For example, a high-flying U-2 reconnaissance plane accidentally strayed into the airspace over Siberia in 1962. This led to Russian concerns that the United States might be creating a provocation to justify an attack. Combine these unpredictable “incidents” with very short decision-making times, potential false alerts from early-warning systems, and the severely limited information that even the best early-warning systems are capable of providing, and one wonders how the United States and the Soviet Union made it through so many decades without a massive accidental use of their nuclear forces. In the end, the us modernization program reveals a fundamental misunderstanding of the most basic characteristics of nuclear weapons. The scale and character of these weapons’ effects are so large and so deadly that any notion of using them in a controlled or limited way is completely disconnected from reality. This failure to understand the profoundly different nature of nuclear weapons leads to yet another fundamental misunderstanding: that nuclear war can be thought of as simply an extension of war with conventional weapons. In conventional warfare, a nation seeks to reduce the capabilities of its enemy by destroying its military might. Victory is achieved by deception, maneuver and directed fire; objectives are met by destroying the enemy’s ability to communicate with its own forces. Nuclear warfare is entirely different. It is not possible to stop a well-armed nuclear adversary from destroying your country, even if you succeed in destroying the vast majority of its forces. It is also impossible to attack an adversary’s nuclear forces without causing effects that would be indistinguishable from a strategy aimed at killing as many people as possible. This brings us back to the question raised earlier: What does the Obama administration hope to achieve by modernizing US nuclear forces? Do the president and his staff realize they are creating conditions that will reduce the security of all involved parties, or have they wrongly convinced themselves that they are creating a more stable deterrence? No rational actor would take steps to start a nuclear war. But the modernization effort significantly increases the chances of an accident during an unpredicted, and unpredictable, crisis—one that could escalate beyond anyone’s capacity to imagine. The real problem is not irrationality but unpredictability. The reasons things happen are far more complex than obsessive nuclear planning can ever predict. 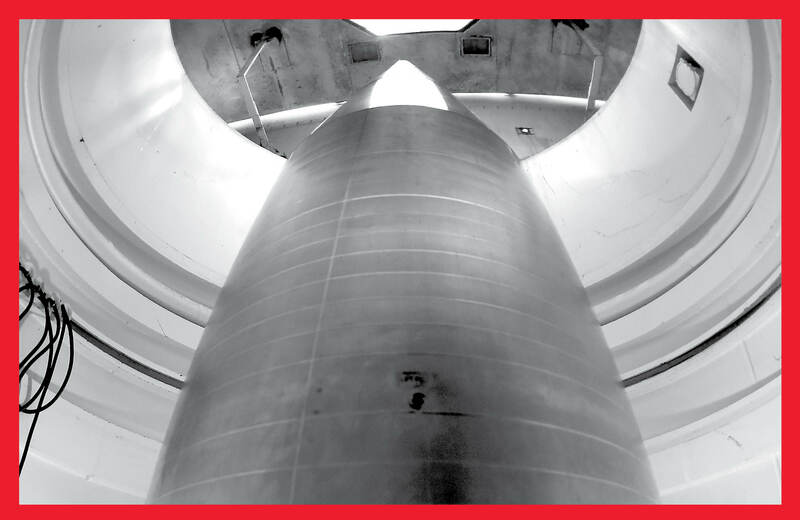 The US modernization program is producing nuclear forces that will severely complicate the chances of backing away from disaster if a crisis were to occur. Anyone who looks at history knows that such crises will occur, and that they result from unpredictable and unforeseen events. This basic truth should be the basis for a sober re-evaluation of the modernization program. In a world that is fundamentally unpredictable, the pursuit of an unchallenged capacity to fight and win a nuclear war is a dangerous folly.